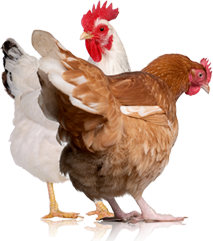 Modern chickens have been bred to ovulate like gangbusters. On average, an egg is produced every 26 hours when a hen is in her prime. When day-old chicks arrive, not much bigger than eggs, it’s hard to imagine that they’ll ever produce more food than you can eat, but they do! The amount my hens were capable of producing didn’t sink in until I was gathering five eggs nearly every day until the flock’s first molt a year later. My family couldn’t eat three-dozen eggs each week. Eventually, a particular collection of seven-dozen eggs sat in the fridge week after week, untouched. At a yard sale in my neighborhood, I’d found a large bag of brand-new pink Styrofoam egg cartons for $3. Normally I wouldn’t buy Styrofoam, but these were a steal, so I rationalized the purchase. (Owning them wouldn’t trigger demand to a supplier.) Having 50 egg cartons on hand meant that I had too much available storage. I didn’t need more eggs, but I’d managed to squirrel away 84 of them. I panicked. I had to rid my life of the stash and start over, so I did the stupidest thing imaginable: I threw them in the trash. It was the guilt I felt after throwing out the eggs that forced me to learn from the mistake and to find new ways to prepare eggs. These days, plowing through eggs is easier than it used to be. My kids’ appetites are bigger, and fried egg whites are one of my most favorite foods. My old girls, while still producing steadily, are slowing down. With four up-and-coming layers in my flock, I’m winding up my skillet for overstock! If you have too many eggs, find new ways to prepare them. Scrambled eggs make great leftovers for the breakfast burritos my husband likes. Egg white omelets are my favorite meals for recovering from hard workouts. Egg-heavy recipes, like pound cake, are great for using extra eggs, and they make great gifts, too—eggs and pound cake. 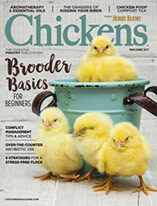 If you’re just getting started with chickens, but you don’t know what to do with all those eggs, plan for the egg drought of the cold, dark, winter months. Crack, scramble, and freeze. Then, thaw them in the fridge when you’re ready to use them. Freezing changes the consistency a little. When stirring the thawed eggs, they feel thick like gelatin, but they’re perfectly suitable for winter baking, and for any other cooking you might do with them. For baking purposes, 1/4cup of liquid egg equals 1 large egg. 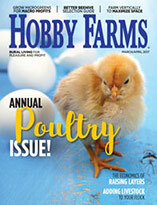 The longer you keep chickens, the more you can predict their productivity through each season. If freezing eggs isn’t for you, planning around your flock works very well, and that’s what I do now. From my older hens, I know that I won’t have eggs from December to March, just like I know I can’t get a fresh watermelon in April. Supplementing the hens with light can bypass the problem, but I don’t do it. That’s just a personal preference. My pullets are 13 weeks old and are due to start laying 10 days before Christmas. In their first year, I can expect to get about six eggs per week from each. If they slow down through their first winter, January and February might be leaner egg months, but I won’t have to save every rare egg for special occasions, like birthday cake or a hot Sunday breakfast. Last winter, each egg was a golden-yolked treasure. When we’re raising chickens, we always have either too many eggs or not enough. If nothing else, feed extra eggs back to the flock (scrambled) or gift them to family, friends and neighbors.